By the time you read this, services across Australia and New Zealand will have concluded their annual commemorations and remembrance of their fallen soldiers which is held each year on the anniversary of the landings at Gallipoli, Turkey (Ottoman Empire) on 25 April 1915. 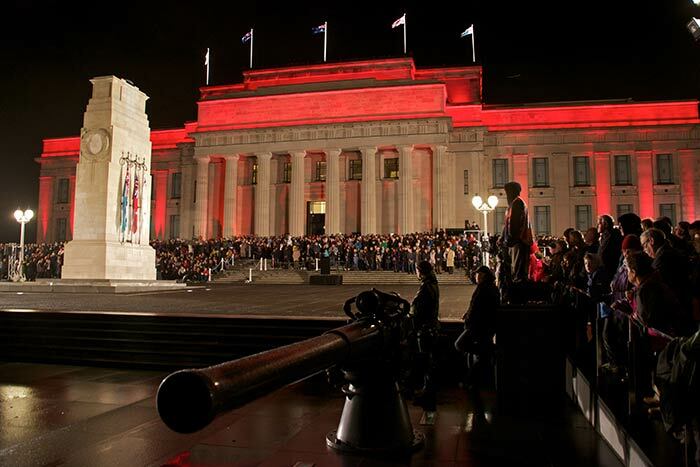 One hundred years on, both nations will remember “ANZAC Day”. But why has Ireland’s involvement been forgotten? A year into the Great War, a stalemate existed on the western front and the Allied Forces took the decision to open a new front in Turkey with the intent of knocking Germany / Austro-Hungary’s ally, the Ottoman Empire, out of the war and provide a warm weather supply route into Russia via the Black Sea. Irish, Australian, New Zealander, British and French troops all fought in the campaign. It failed. One could even call it a disaster. Several books titles have. In Australia and New Zealand, the Gallipoli (or Dardanelles) campaign is often remembered as the birthplace of those countries. That it was through the sweat, blood and futility of sacrifice that national identity of both countries was born. Both served in the Australian and New Zealand Army Corps, hence the name ANZAC. 100 years on, Anzac Day is a national holiday of remembrance and the centenary events are the largest they have ever been. In Ireland, the campaign and Ireland’s involvement during the First World War has been largely over-shadowed in by Ireland’s revolutionary period. To this day, the Dardanelles campaign has been a byword for strategic and logistic folly. For the Turks however, the campaign has possessed mythic status as a costly victory which heralded the rebirth of their nation from out of the ashes of the Ottoman Empire. Amongst the dead, injured and missing of the campaign were thousands of Irishmen, whose story would be banished along with most other Great War narratives, as post-colonial Ireland sought to establish a new identity. The campaign saw the emergence of Australia, New Zealand and Turkey. The Ottoman military commander would go on to lead the independent Turkish nation and acquired the name “Father of the Turks”, Kemal Ataturk. In Turkey, the landing site for ANZAC troops has been officially renamed ANZAC Cove and each year the Turkish government host tens of thousands on 25 April who seek to commemorate their fallen at a Dawn Service. The event is televised in prime time across a number of networks in Australia and New Zealand. In contrast, there is nothing of that scale remembering Gallipoli or the First World War in Ireland. Ireland’s losses were high, losing at least 3,400 men during that the initial campaign,larger than the losses faced by New Zealand. Gallipoli accounts for 9% of all Irish infantry deaths during the war and at a much higher rate than other campaigns. The 10th Irish Division suffered heavily and such reports from the front would impact perception at home. Additionally, for every soldier killed, a further 2.4 were wounded equating to over 40% of troops in the British Army during the course of the war. Further, evacuations due to illness were much higher in Gallipoli and Middle East than they were elsewhere. The high death toll would ultimately have a major impact on domestic Irish events during the course of the war including the Easter Rising of 1916. All who served from Ireland were volunteers that had joined from throughout the 32 counties from both Unionist and Nationalist traditions – conscription was never imposed on Ireland. The Irish Parliamentary Party leader, John Redmond, urged all Irish Volunteers from the nationalist / home rule tradition to join the war effort to guarantee the implementation of Home Rule (that had previously been passed by the Westminster Parliament) and over 24,000 did. On the Unionist / anti-home rule side, Eoin Carson encouraged a similar number from the Ulster Volunteers the alternative reason. Ulster Unionists were largely deployed on the Western Front and lost 5,500 men in just two days alone, during the Battle of the Somme. More than 200,000 Irish served during the First World War. Over 50,000 were already serving when war broke out, a further 50,000 from both the Ulster Volunteers and Irish Volunteers who joined following each rallying cry and a further 100,000 who volunteered during the course of the war. The Irish collectively saw at least a 14% casualty rate according to some sources yet Ireland’d National War Memorial has the figure at 49,400 putting the figure closer to 25% casualties. This does not include those that were permanently disabled. The figure is much larger if one also includes the numbers serving in foreign armies, around 300,000, which included the Australian, New Zealand and US armies. Many of the Irish Volunteers had joined John Redmond’s Nationalist Volunteers and enlisted at the start of the war. Recruitment in Ireland was at a comparative level with England, Scotland and Wales for the early part of the war but slowed as the war carried on. In February 1916, the 10th Battalion Royal Dublin Fusiliers was formed as a new regiment and began recruiting and enlisting. Whilst the high loses of the 1st/2nd Battalion Royal Dublin Fusiliers and failure of the Gallipoli campaign affected recruitment numbers, numbers were still relatively strong during the period and the Royal Dublin was training in Dublin when the Easter Rising broke out in late April. As the rising was quelled, General John Maxwell was sent to Dublin as Military Governor and began dealing with the rebellion. Maxwell was in sole charge of trials and sentences by “field general court martial” under the Defence of the Realm Act (1914). Under his leadership, 3,400 people were arrested, 183 civilians tried and 90 were sentenced to death. If someone were to tell me now that the Germans were coming in over our back wall, I wouldn’t lift a finger to stop them. They could come! He died in 1917 on the Western Front having never seen his political goal of an independent Ireland, fighting in a British uniform. The 4th, 5th and 10th battalions of the Royal Dublin Fusiliers were involved in the campaign to rout the rebels with various accounts suggesting individuals on both sides were known to one another. Have you any cause of complaint of the Dublins who had to go down and fight their own people in the streets of Dublin? Did a single man turn back and betray the uniform he wears?” [General John Maxwell] told me, “Not a man”. No wonder the perception of Irish First World War involvement and the emergence of national identity is so complex. If Gallipoli was the birth of Australia, New Zealand and Turkey’s national identities, the Great War made a similar contribution to Ireland’s but in a vastly different way. The predominant mood amongst nationalists was one of deep bitterness towards England and of contempt for those who had served in its forces even those who had earlier marched side-by-side with them. The rebels who had died in Easter week had become the focus of nationalist adulation. “Outside Ulster, Ireland’s war veterans became the object of a sort of national amnesia”, according to BBC History, “their contribution unrecognised and forgotten”. Is it time to commemorate Irish involvement during the First World War? History is a complex thing. As Winston Churchill put it: “History is written by the victors”. At the outset, recruitment of Nationalist and Unionists was broadly comparable and if we (perhaps erroneously) assume that Catholics are to the Nationalist movement as Protestants are to Unionist, recruitment rates in Ulster remained the same for the duration of the war. In the south of Ireland, Unionists began to see Home Ruler, John Redmond as a strong first Prime Minister of an independent Ireland. In the North, Ulster’s commitment to the cause was rewarded with a flip-flopping on home rule by Westminster that ultimately resulted in a division of the island. However, it is worth considering whether unequivocal support by nationalists would have led to a unified independent Ireland nearly a century ago rather than generations of division. But as recruitment figures showed, the majority of recruits were not aligned to either cause and joined as Irish enlistees. Remembering the Easter Rising as the start of the Irish independence movement against the British is both simplistic and misses the complexities of perception at the time. Moreover, it depicts the Irish that fought in the British Army as traitors. How could they be traitors? Many enlisted to bring about Irish separation from direct British rule (a rule that only came about after rebels in 1798 decided to raise an rebellion) and upon cessation of hostilities in 1918 returned to an Ireland that rejected them. Others to clearly show allegiance to Britain, others to protect their homes. All were Irish. Our history of the period should remember all of those that served a cause and not take at face value the claims of political and ideological opposition to involvement by leaders of the Republican movement that rejected involvement for “Ireland’s cause”. Perhaps they were just cowards who didn’t want to fight? Perhaps the Easter rising failed so quickly because it was a futile effort and the the rebels found themselves fighting their friends? Politics and perception altered the history, thereafter. The Irishmen that served and fell in the Great War numbered in their hundreds of thousands and vastly outnumber the thousand or so that led a short rebellion lasting only days. Remembering only the few, misses the sacrifices of the many and the cause they fought for.